China gets 26% of electricity from renewables. For every dollar that the US spends on renewable energy, China is spending three, making it by far the leading investor in renewable energy around the world, according to an analysis by the United Nations. In 2017, the world invested $279.8 billion on renewable sources of energy, and China accounted for $126.6 billion. The next biggest investors were the US at $40.5 billion, Japan at $13.4 billion, India at $10.9 billion, and Germany at $10.4 billion, the report found. In fact, China spent more than the next 10 biggest investors combined. China’s outsized commitment to renewable energy reflects the country’s larger policy goals and its intention to play a leading role in the Paris Climate Agreement. As air and water pollution throughout China reached unsustainable levels in recent years, the government vowed to clean up the environment through an overhauled energy system. 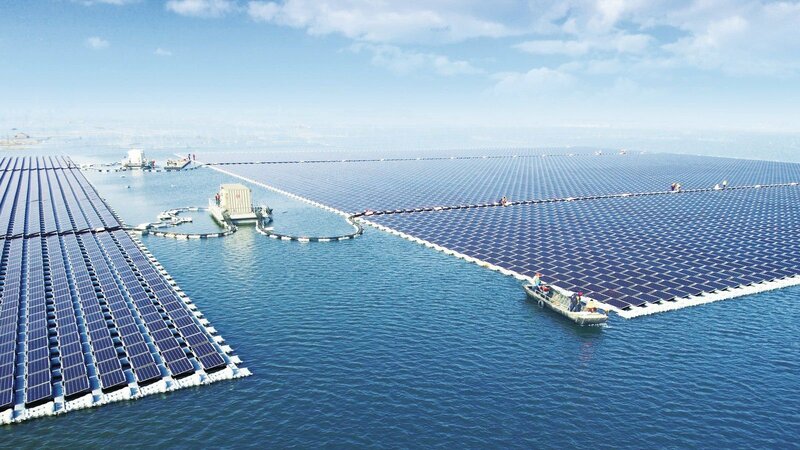 In 2017, China announced a massive $361 billion renewable energy package to be spent through 2020. Later in the year, the country shut down thousands factories to limit air pollution, announced plans for banning gasoline-powered cars, and accelerated its shift away from coal energy. These efforts have already paid off. In March, the government announced that it had reached its 2020 emissions target for the Paris Climate Agreement. China has shown that aggressive investments in renewable energy can lead to a rapid shift in energy markets. While the rest of the world gets an average of 12.3% of its electricity from renewables, China has reached 26%. But even though the country has become a leader in renewable energy, it still emits more greenhouse gases than any other country in the world and its emissions are on pace to climb until 2030. Other countries, such as Costa Rica, Scotland, and Norway, are breaking renewable energy records, while other major fossil fuel markets like India are making massive investments in sustainability initiatives. To wit, India is spearheading a movement to more than triple the amount of solar energy in the world. These efforts will culminate in 2020, when countries are expected to significantly increase their commitments under the the Paris Climate Agreement, which seeks to keep global temperatures from rising more than 1.5 degrees Celsius compared to pre-industrial levels. Global Citizen campaigns on the UN’s Global Goals, which call on countries to fulfill the Paris Climate Agreement. You can take action on this issue here.